The prevalence of type 2 diabetes mellitus (T2DM) has been increasing worldwide, and it is becoming a public health concern. 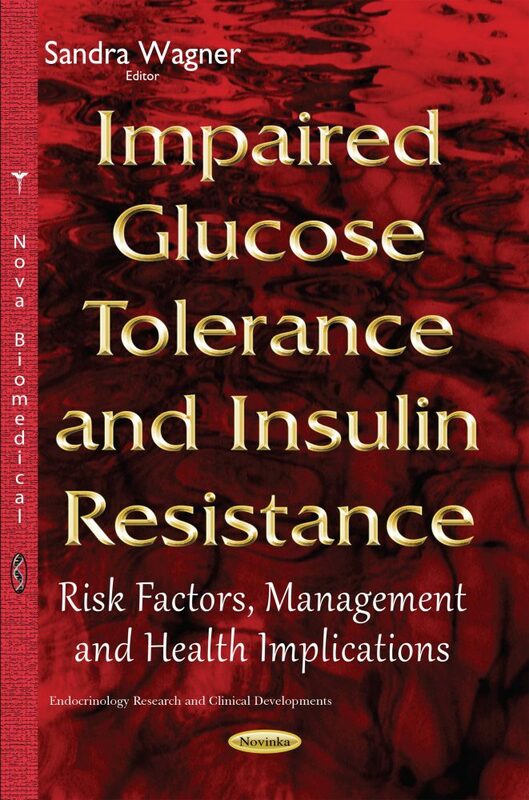 In this book, the pathophysiological risk factors of progression from normoglycemia to prediabetes and the lifestyle modifications and pharmacological interventions for preventing or delaying the development of glucose intolerance is examined. Furthermore, the insulin signaling pathway regulates the cellular uptake of glucose and wholebody metabolic homeostasis in mammalians. This book explores the improvement of estrogen signaling in preventing the comorbidities of insulin resistance. The next chapter focuses on nutritional management during the perioperative period, focusing on glucose metabolism and insulin sensitivity. There are three major problems for nutritional management during the perioperative period. These problems are addressed and suggestions are made on how to alleviate them. Finally, Cystic Fibrosis (CF) is the most common lethal inherited disorder in Caucasians, affecting 1 in 2,500 – 2,800 live births. The last chapter examines impaired glucose tolerance in cystic fibrosis.